With all the anticipation mounting for when we are going to see the first trailer for Star Wars: Episode IX, ComingSoon.net decided to posit a question: Would we see the movie sight unseen without ever seeing a frame of footage from it? Why, of course we would! That made us decide to put together this poll of major upcoming movies where you, the reader, can check off all the ones you would watch without ever seeing a trailer beforehand. Click on all the films you would see without watching a trailer first below and cast your vote! The truth is most major films these days are made within the framework of some pre-established franchise. Whether it’s a remake, a comic book, a toy, a video game, a book series or a pre-established franchise, most of the big tentpoles are designed to hook you in based on the title alone. But is that really enough? That’s what we’re trying to find out! Many of the upcoming sequels to Star Wars, Ghostbusters, Bond, Terminator, Indiana Jones and others are following on the heels of divisive or downright hated entries in their respective series. 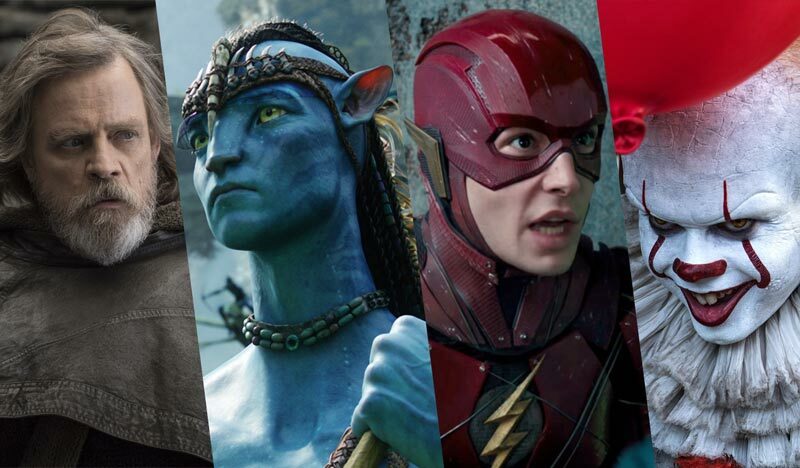 These films have to up the ante in terms of what fans of the properties want to see on screen, which might mean audiences would need to see trailers or footage before they put cash down at the box office. All of the choices in our poll are movies that, as of this date, have not released trailers yet, and you have until the end of the week (this coming Friday, February 8) to vote, so get to it! Are there other films not listed in our poll that you would see without question, sight unseen? Let us know in the comments below!